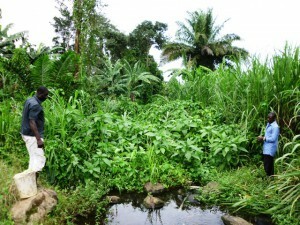 Under our Community Development programme and in collaboration with 3 students specialized in Water Resource Management from the University for Applied Forest Sciences in Rottenburg, Germany. The community of Lower Wonjoku shall in the up coming months be endowed with good quality pip born water. Lower wonjoku village is situated between Soppo, Bulu, Wolikowa, and Soppo Likoko,on the road leading from Malingo junction (Molyko) to Tole Tea in the Buea sub Division .With a rapid growth of population in and around Buea, this village is a potential area for expansion but unfortunately, it has witness a rapid decline in population. One of the main reasons advanced for this is because of the absence of good quality water for drinking. 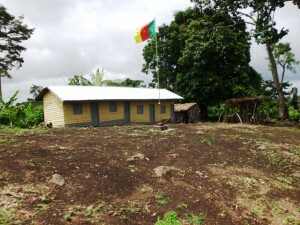 In our quest to promoted Education for Sustainable Development in Cameroon through practical projects on the ground and after consultation with the local community, the project was developed as a means of reviving this community. The project’s aim is to supply the 700 inhabitants of Lower Wonjoku Community with drinking water and simultaneously provide short transportation routes to the consumers. To do this, a water source has been identified where a catchment will be built with an inclusive water-filter and tanks for storage. A (later on extendible) system of pipes will transport the drinking water, taking advantage of a natural slope, from the source to a central tapstation by gravity. It will be highly imperative to arrange the project with simple technique installments to minimize fault liability and supply deficits. With this project a sustainable drinking water supply system is to be assured. Due to a rapid increase of population in Buea and especially in the rural areas and poor infrastructure, a wide effect on social and economic integration of the people is to be created. Also of great importance is the desire to produce quality awareness about the living conditions of the residents in Lower Wonjoku as a step to reducing rural depopulation and encourage migration to this area from the environs. Fund Raising for this project is currently carried out by, Benedikt Altstädt, René Hoppe and Carsten Schmitt, students of the course of studies ´Water Resource Management` of the University for Applied Forest Sciences in Rottenburg, Germany. The above mentioned persons are the only authorized persons who can make negociations and answer questions regarding this project and its progress. 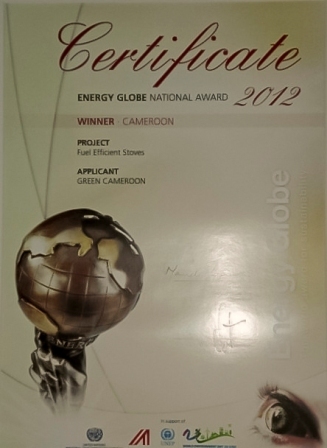 Green Cameroon will very much appreciate all donations made towards the success of this project. For more on the progress of this project, please visit the project site here. For all donations, please find bellow the project account for your kind donations. We have also put up the project on a few crowd funding sites where you can also make tax deductible donations. Please find some of the links bellow and feel free to donate through them as the funds will still reach us. Please click on the link to visit the project and donation pages.